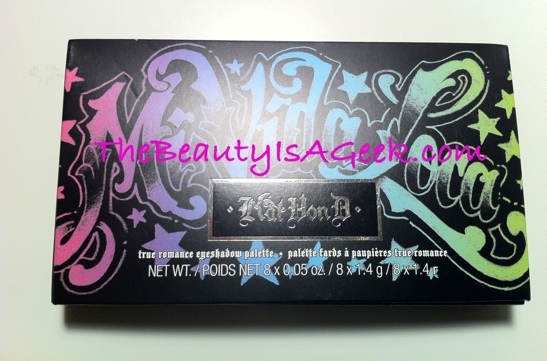 I’ve always seen the Kat Von D True Romance palettes but the colors never really did grab me. 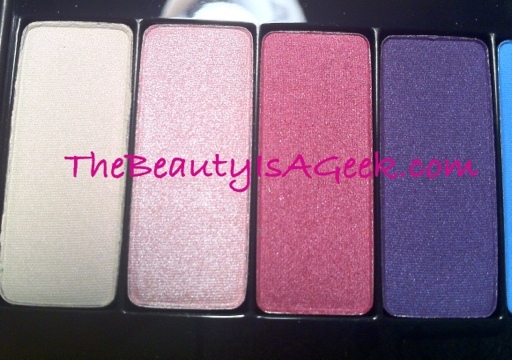 That is, until I saw *this* palette. 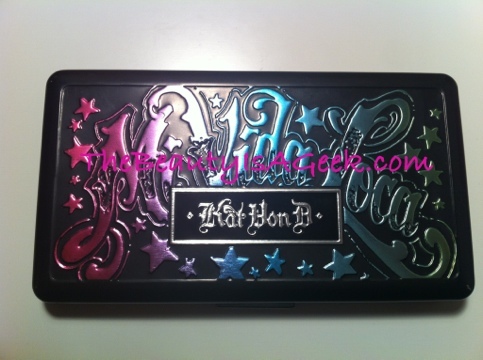 Mi Vida Loca True Romance palette by Kat Von D. Exclusive to Sephora. How gorgeous is this?!? 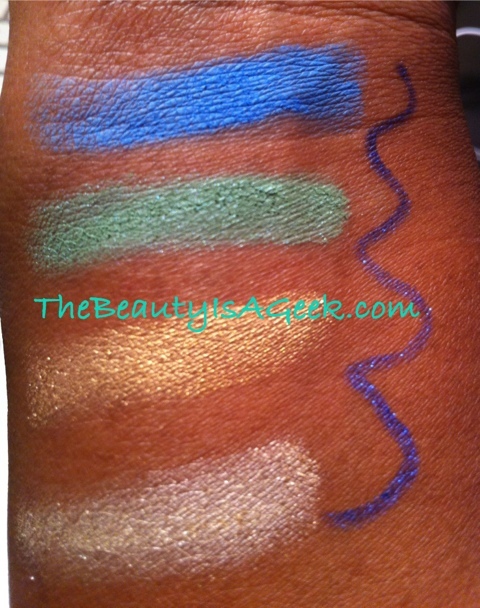 The palette consists of eight (8) bright shades and a sparkly blue eyeliner. It retails for $34 and is exclusive to Sephora. 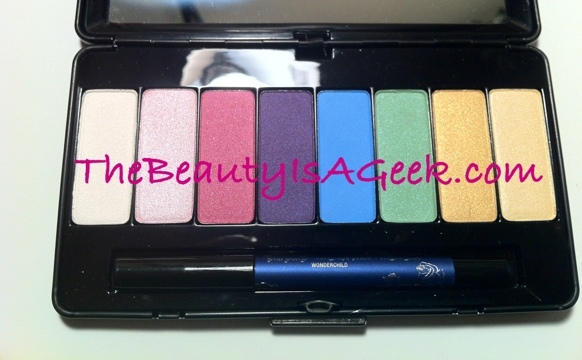 I probably won’t get a chance to review it completely until after I take it on my trip to Disney World for Easter but in the meantime I’d like to give my readers a look at this cool palette. 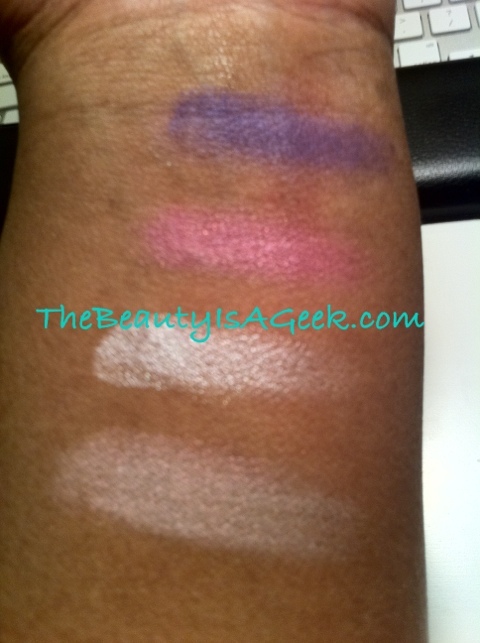 Please enjoy the pictures and swatches while you make plans to descent upon Sephora to score this delicious beauty goodness. Raised imagery on the tin. Inspiration was Kat's own back tattoo. 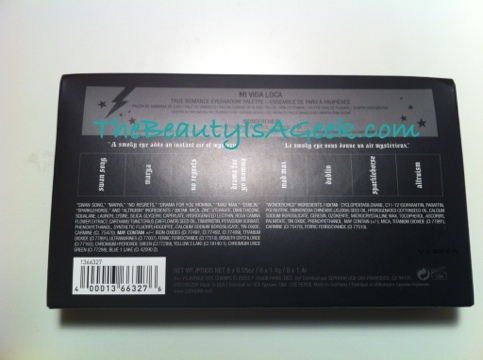 Back of the palette showing shade colors and ingredients. 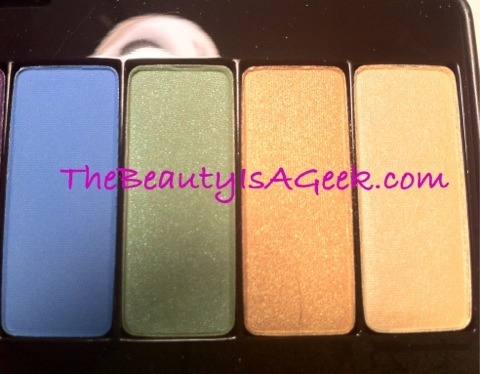 The 'cool' four eye shadow colors in the palette.